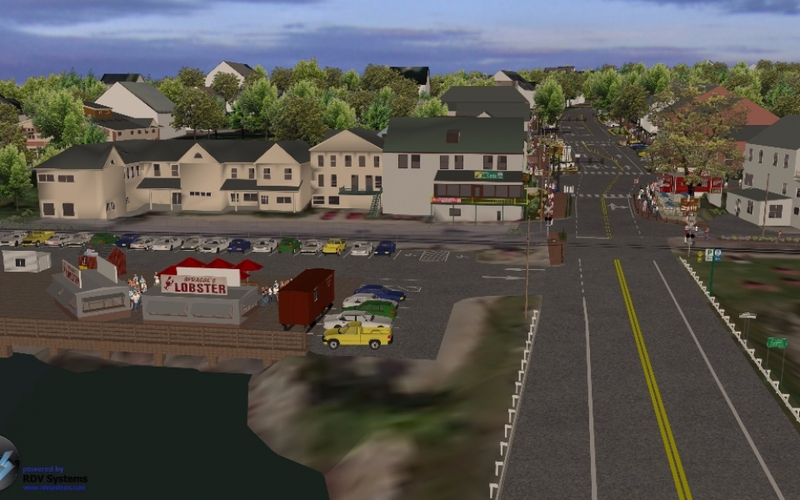 The historic town of Wiscasset Maine is also one of Maine’s worst traffic bottlenecks. 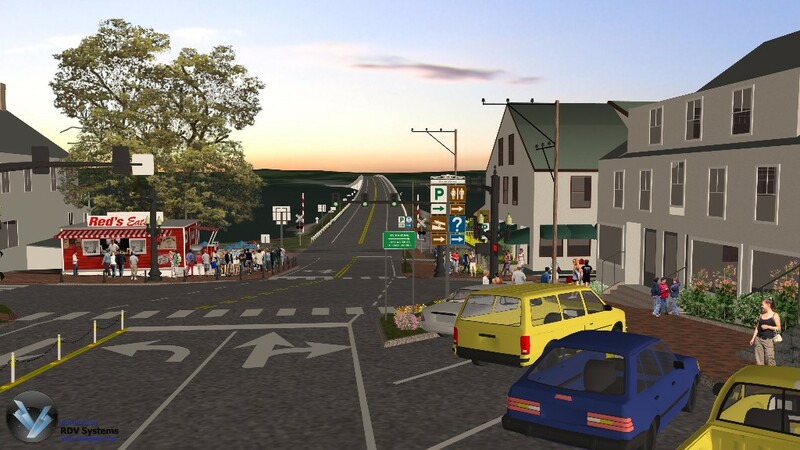 Situated on coastal U.S. Highway 1 about 45 miles northeast of Portland, it connects the Towns of Brunswick, Bath and Woolwich to Boothbay Harbor, Damariscotta, Rockland and Camden. 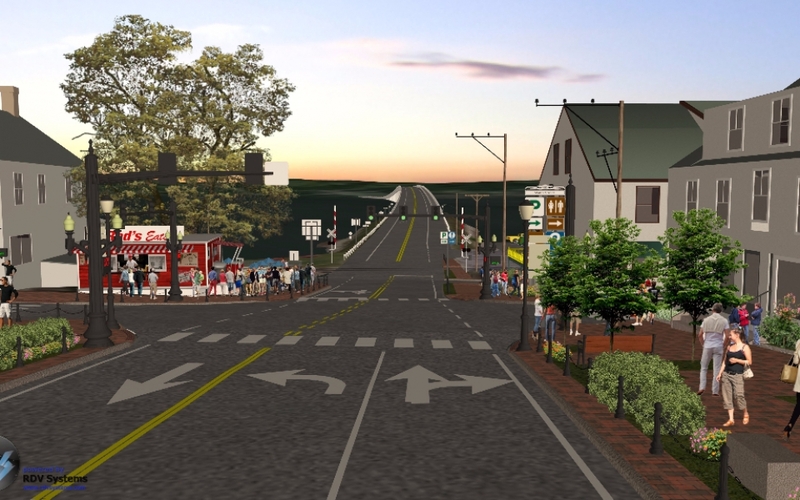 Other than traveling well inland along I-95 (tolls) to I-295 and then along inland highways, travelers have no choice but to use U.S. Route 1, which is also Main Street, Wiscasset. 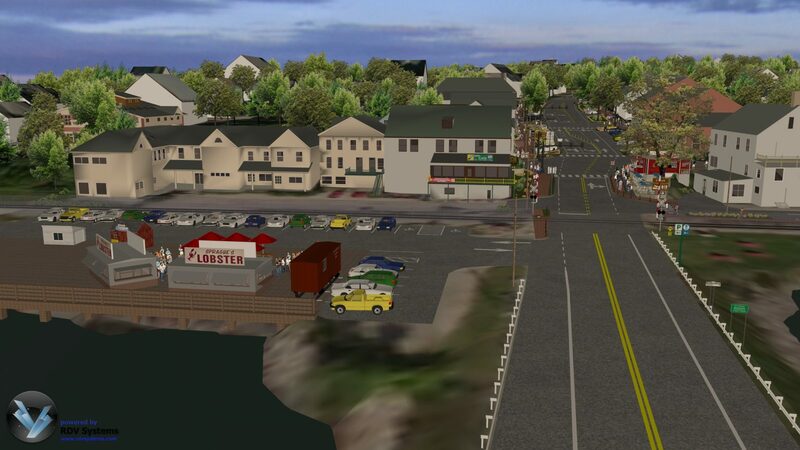 Due to the significance of Route 1, MaineDOT considers the bottleneck as a major regional problem that affects not only the quality of life within and around Wiscasset, but also its economic well-being. 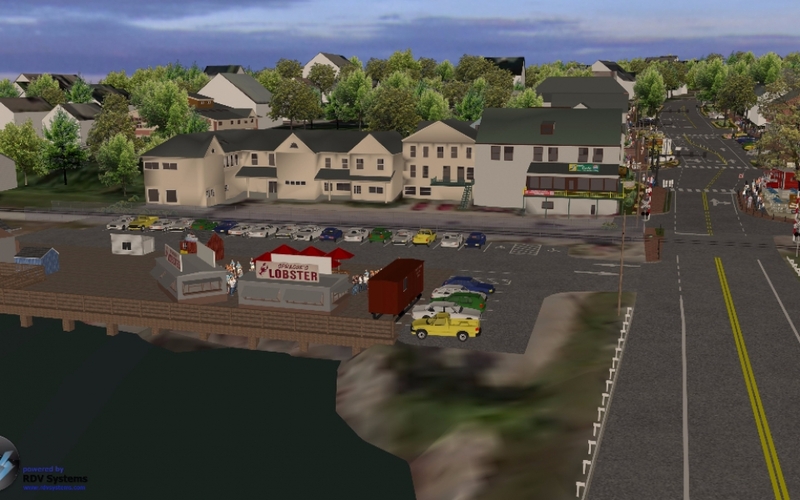 Wiscasset overlooks the Sheepscot River and is known among other things for its majestic 19th century architecture and as the home of Red’s Eats, one of the most well-known and most written about eateries in Maine, famous for its lobster rolls and fried clams. 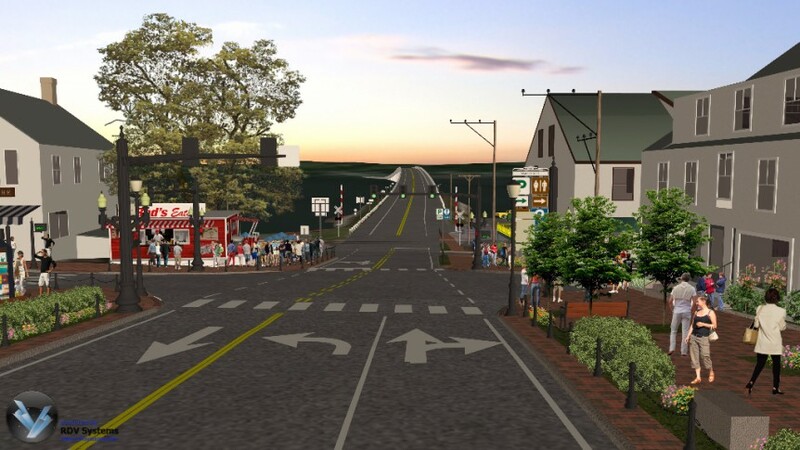 Anyone who travels Route 1 in the summer knows the situation in the town that calls itself “Maine’s Prettiest Village” and attracts crowds of tourists – sometimes miles-long lines of traffic inching through. 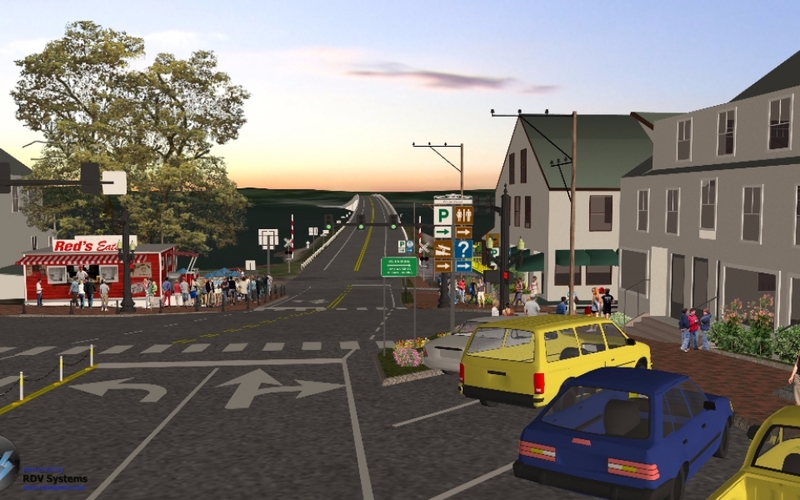 During the summer and fall, traffic passing through Wiscasset on the way to Maine’s mid-coast vacation areas can reach 25,000 cars daily. 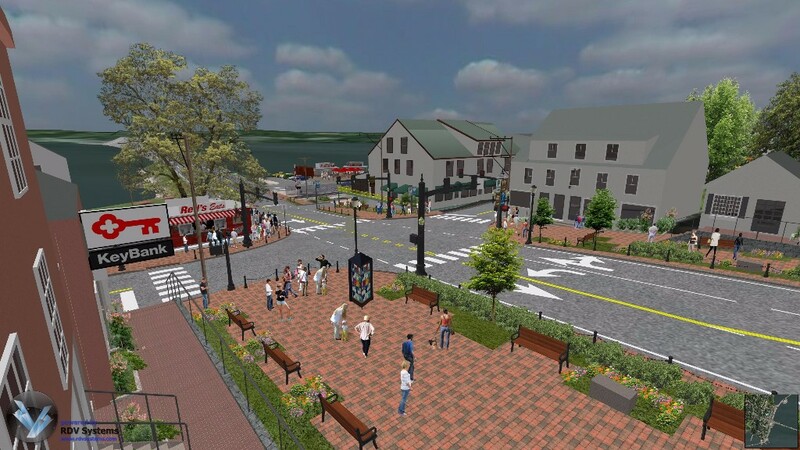 Additionally, over 300 pedestrian crossings per hour occur along Main Street within a two-block area in Downtown Wiscasset. 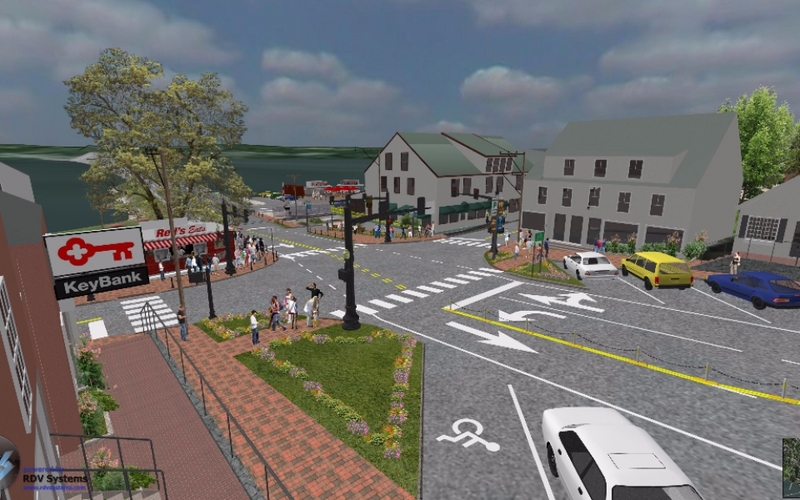 The volume of traffic and pedestrians creates hazardous conditions for town residents, shoppers and tourists alike. 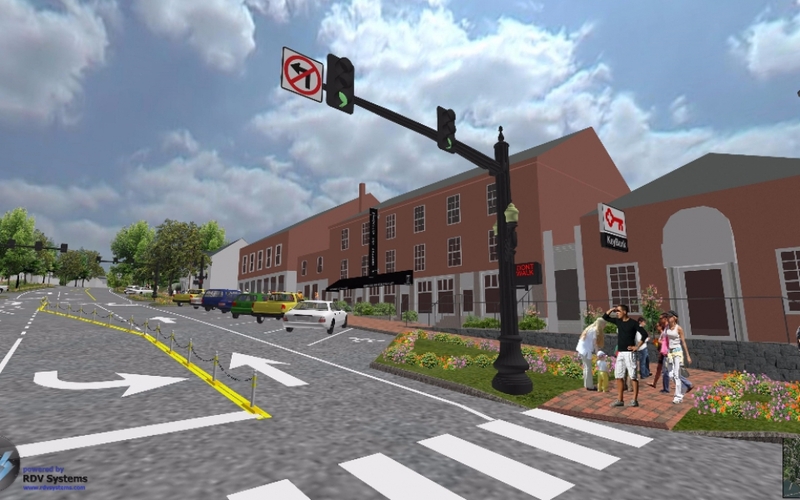 Furthermore, parking in the downtown area is limited, and the current sidewalks and crossings are not ADA compliant. 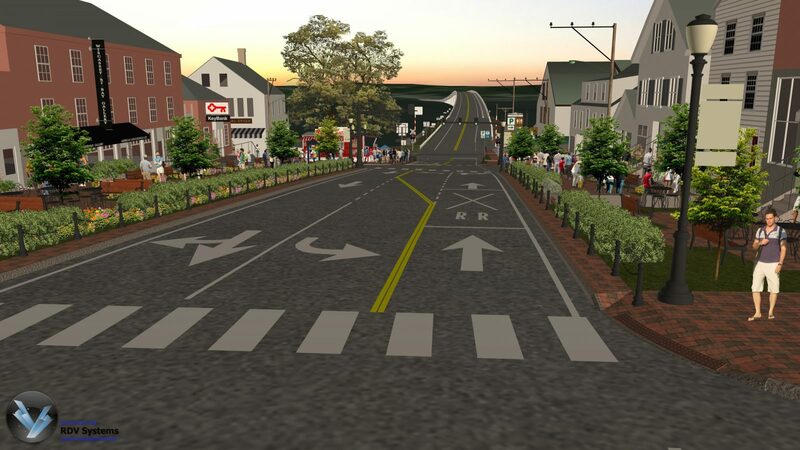 For decades, transportation planners and locals have debated what to do about the congestion, with ideas ranging from routing pedestrian traffic crossing Main Street over a bridge or through a tunnel, to building a $100+ million bypass that would split the community in two and send motorists away from the town altogether. 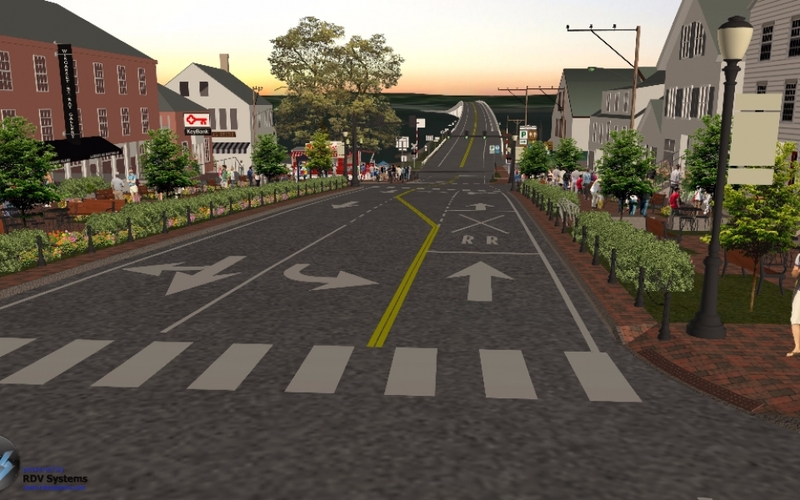 Finding a solution to the Route 1 traffic in Wiscasset is a complex problem. 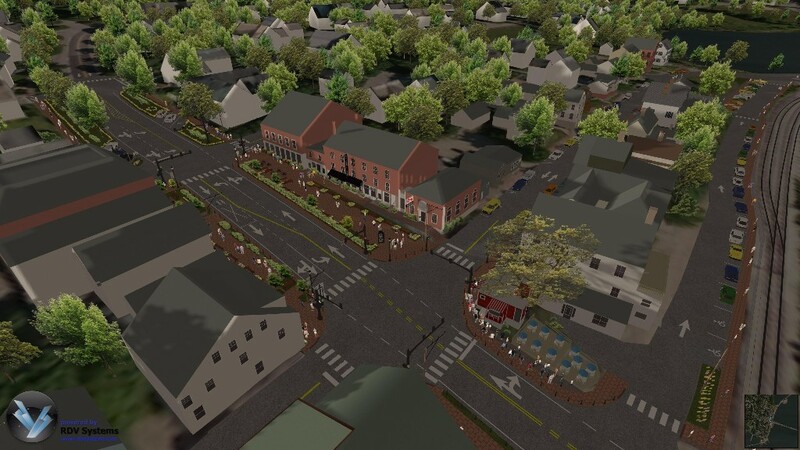 It involves working within a constricted right-of-way, getting buy-in from the Maine Department of Transportation, local business owners, residents and municipal officials, as well as from the Federal Highway Administration, environmental, historic, and other regulatory agencies. 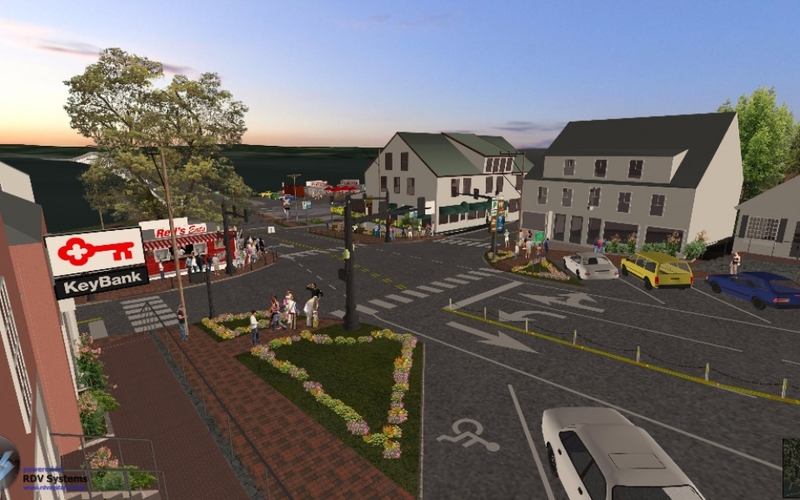 The key to finding a solution is to build trust through effective means of communication with the multiple and varied stakeholders. 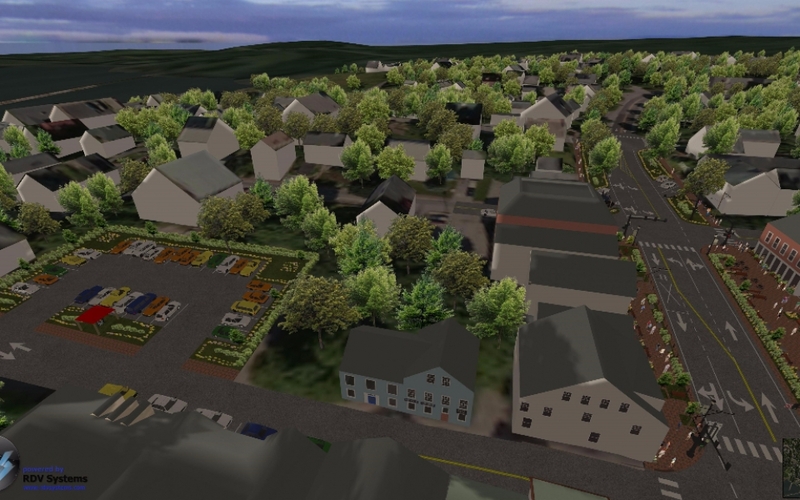 Aerial photos, 2D plans and cad files are not enough and do not let the stakeholders fully understand the proposed design alternatives. 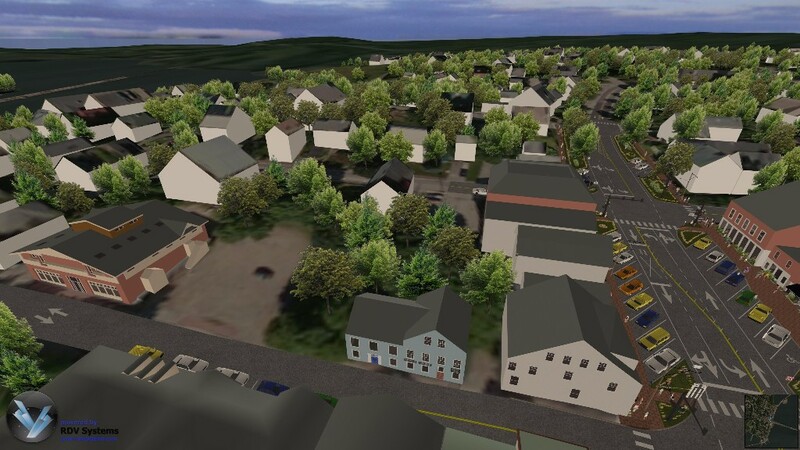 The 123BIM software suite from RDV has made it possible for all stakeholders to “see” what the proposals would look like when completed through stunning 3D models of the proposed urban revitalization alternatives during the pre-design public outreach phases. 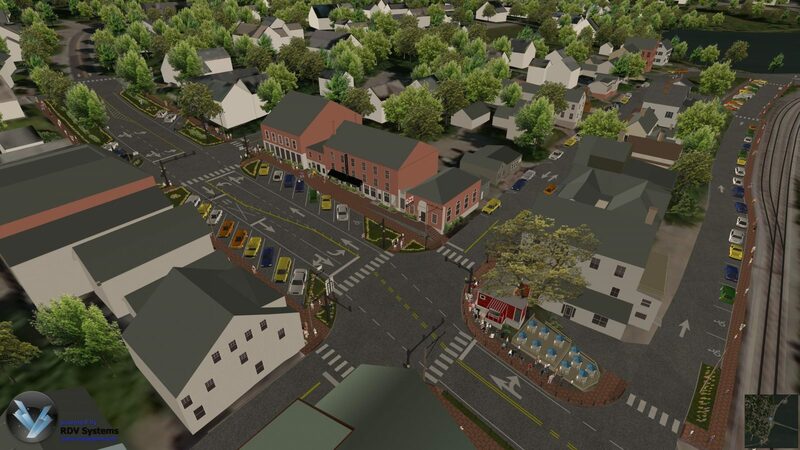 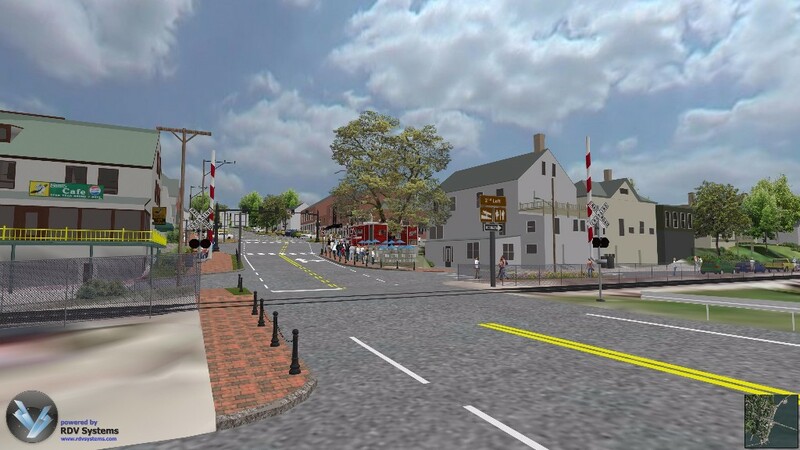 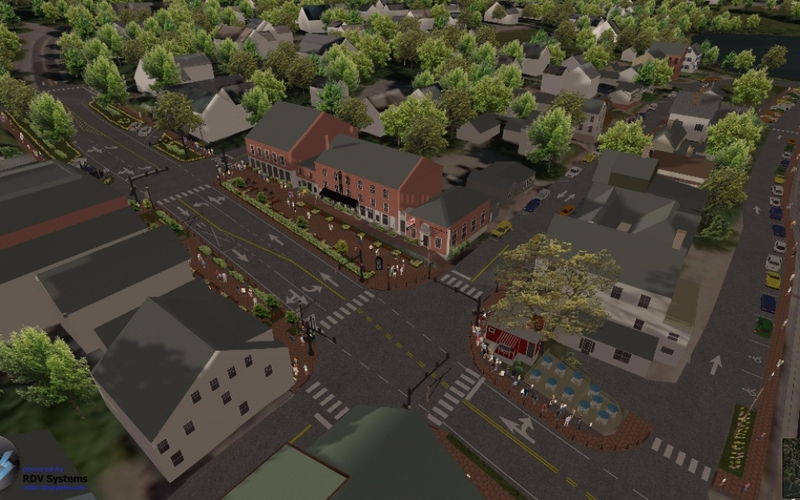 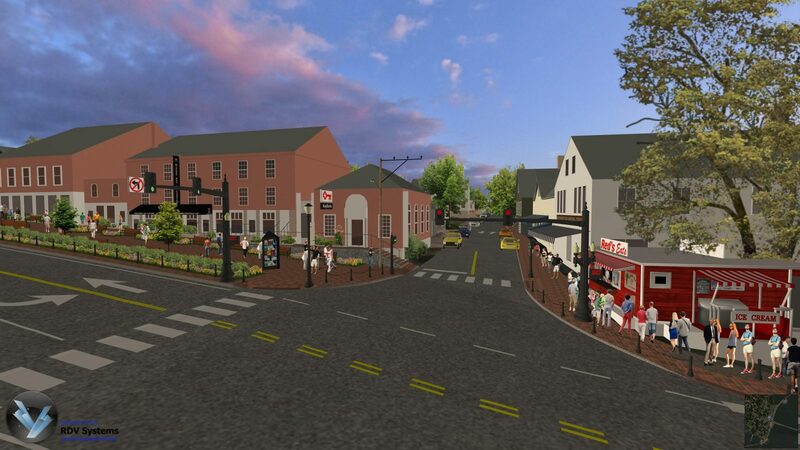 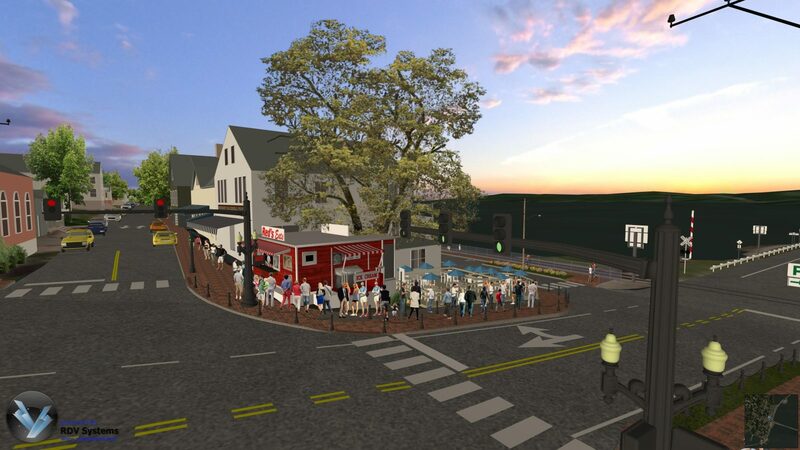 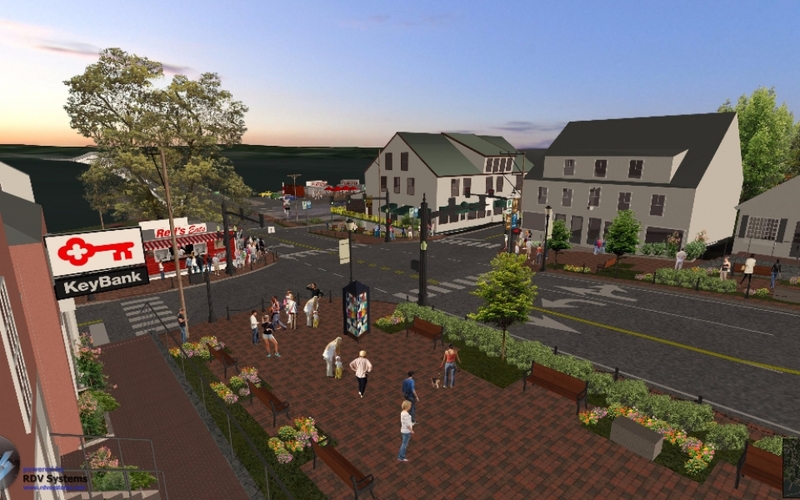 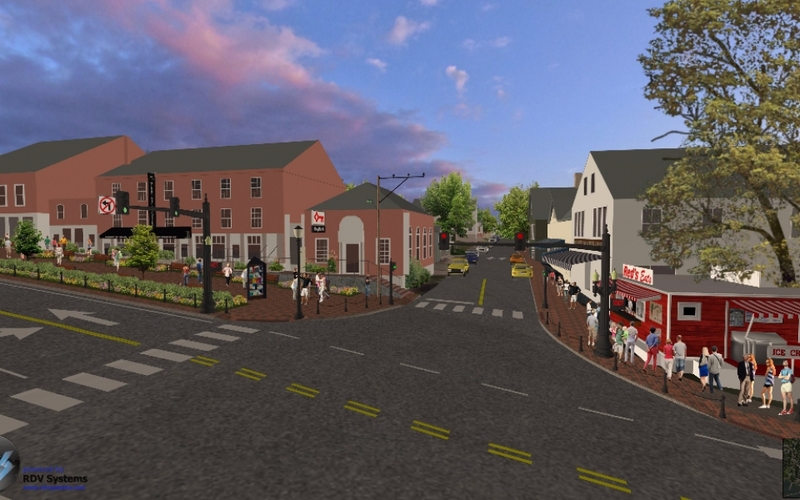 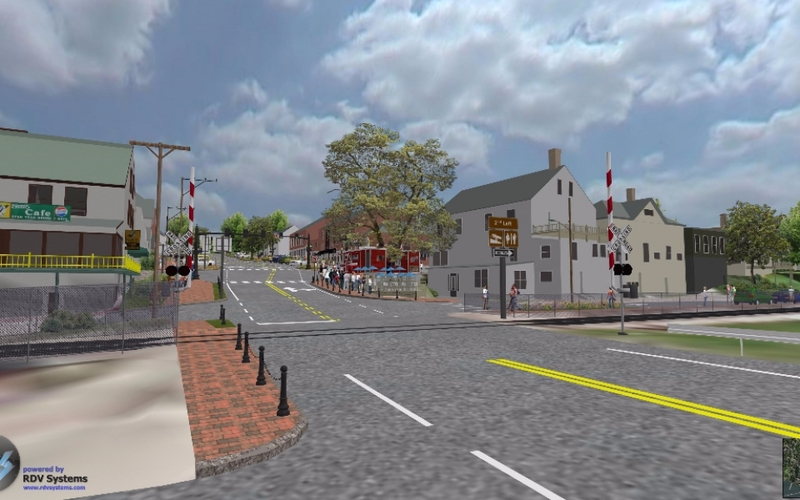 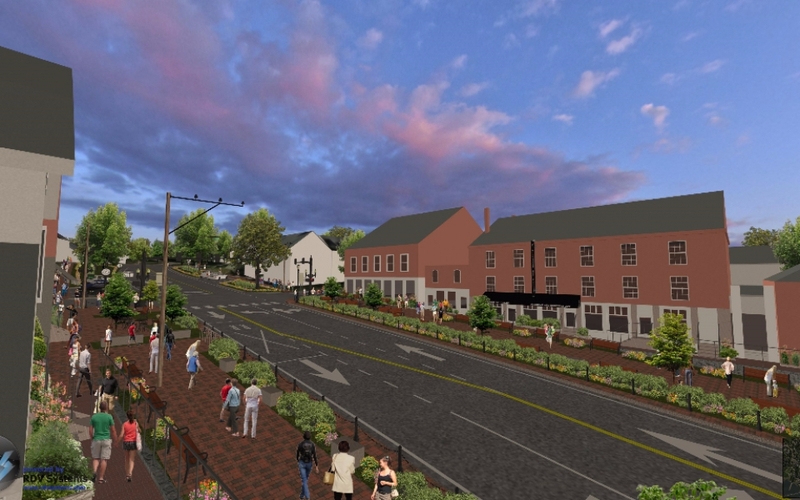 Visualization modeling on this project began in 2014 with an early conceptual design, which was then used extensively for internal reviews within the DOT and coordination with town officials. 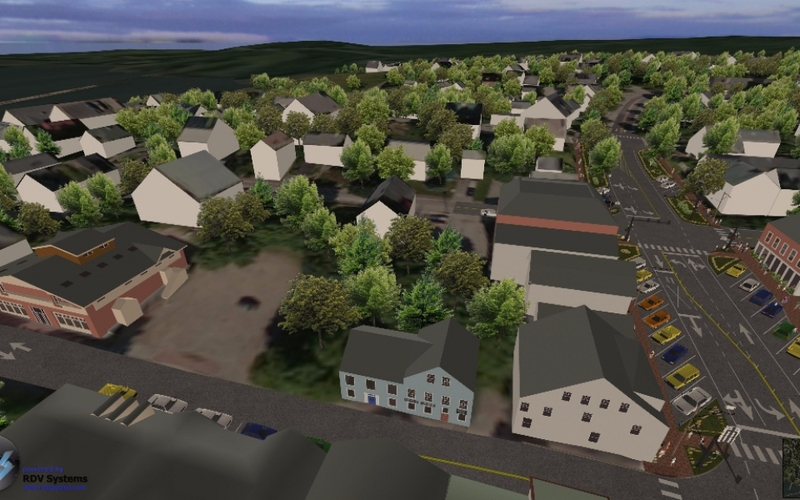 The feedback was incorporated into a more detailed design and visualization model. 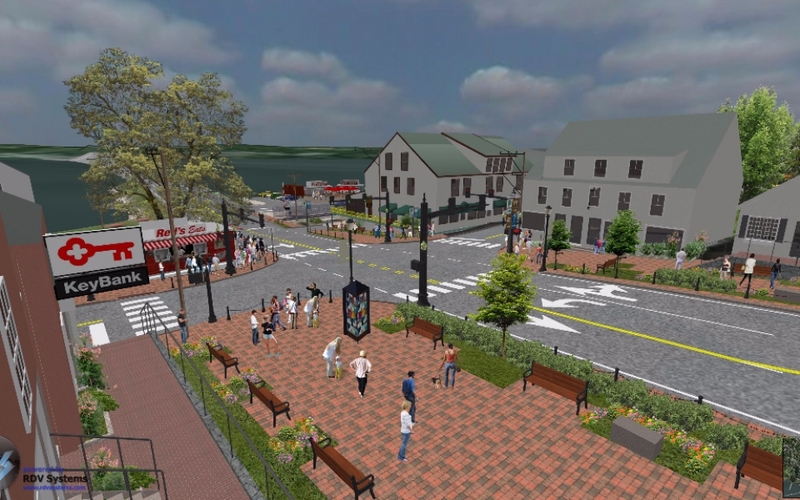 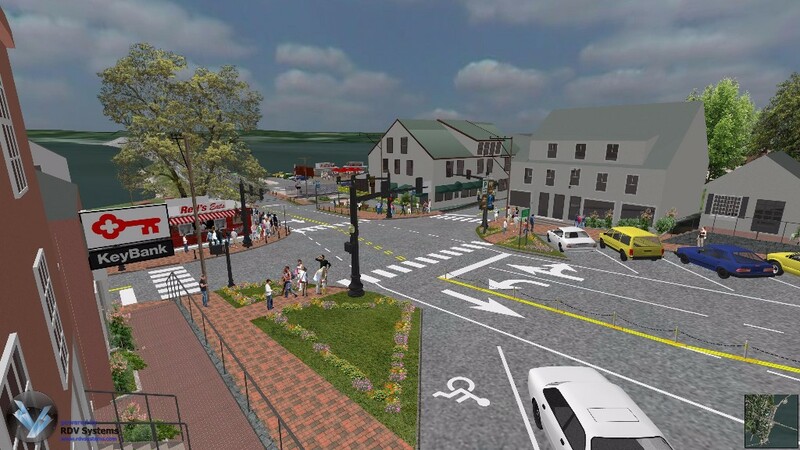 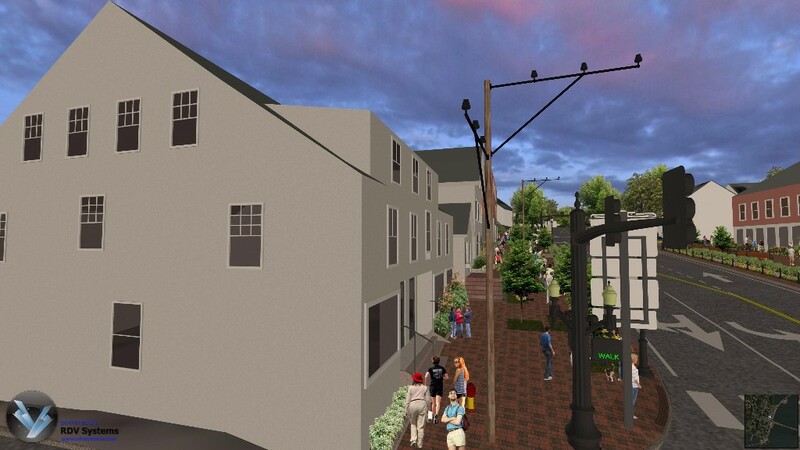 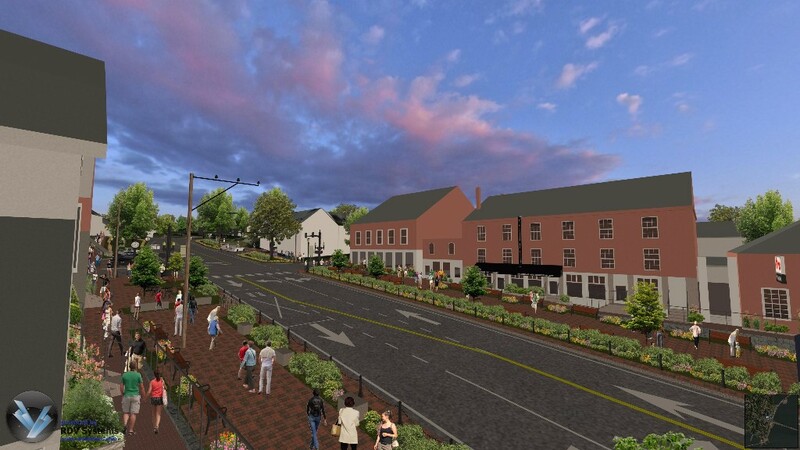 Maine DOT has now developed two design proposals that address the mobility, safety, parking and other concerns, which were presented at a public meeting on March 8. 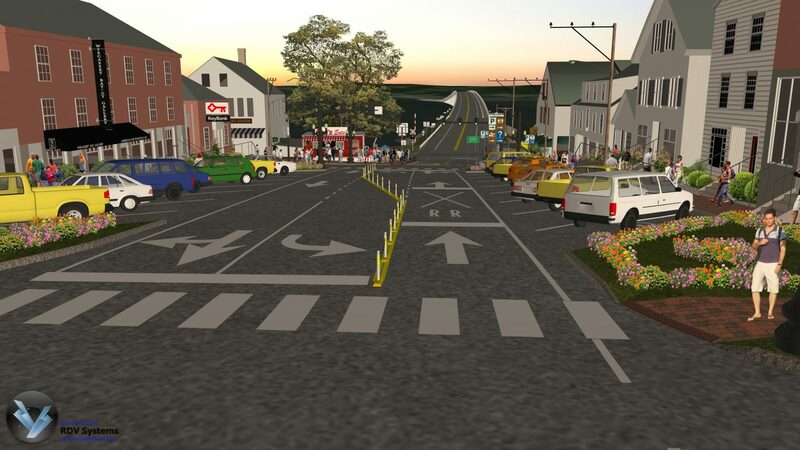 The presentation was well-received by the public and MaineDOT will now proceed with additional public meetings to further vet the options presented to ultimately identify the preferred alternative. MaineDOT Project Manager Gerry Audibert, P.E. 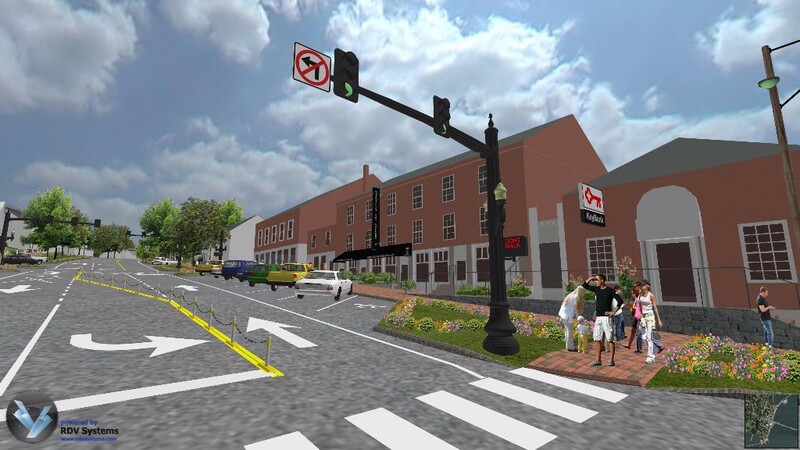 noted that when plans were initially presented to business owners and local officials, the reaction was poor. 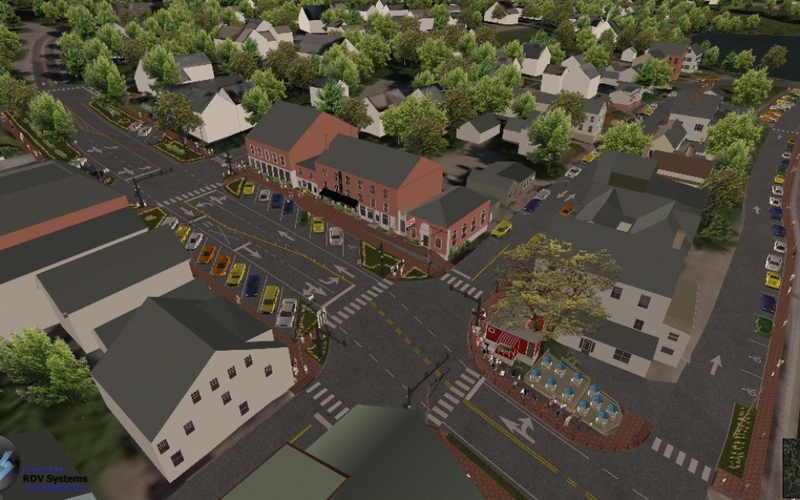 They couldn’t visualize what the proposed changes would look like and were immediately skeptical. 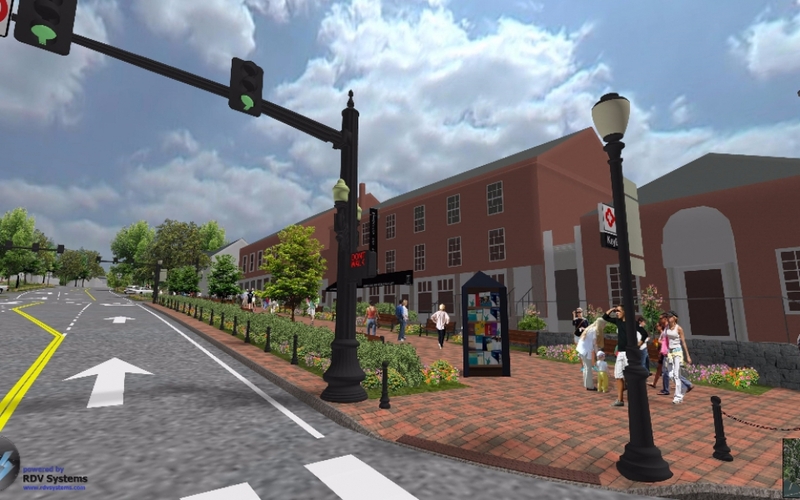 Once the 3-D modeling was shown, it instantly provided both internal and external viewers the imagery needed for them to immediately understand what was being proposed, and they were excited to see what the proposed changes could really look like. 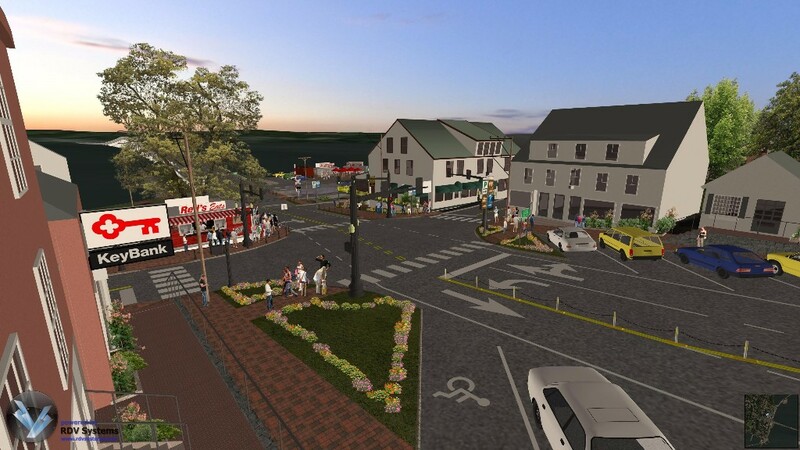 Public reaction was overwhelmingly favorable at the first public meeting and the three major television news stations in Maine provided coverage of portions of the 3-D model. 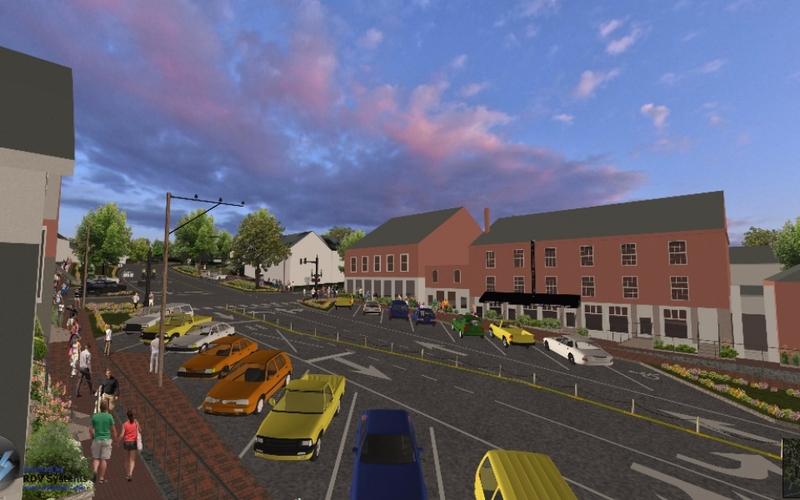 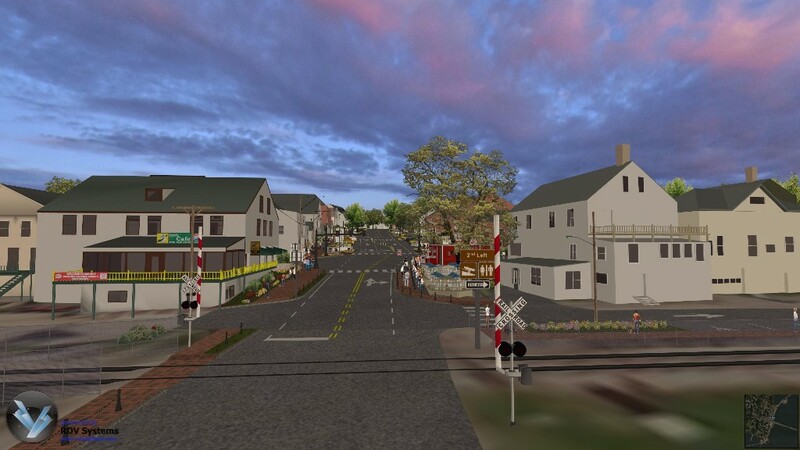 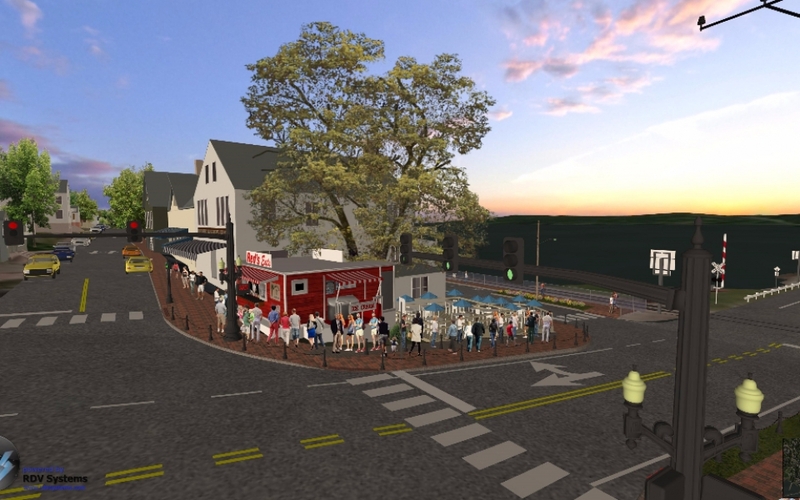 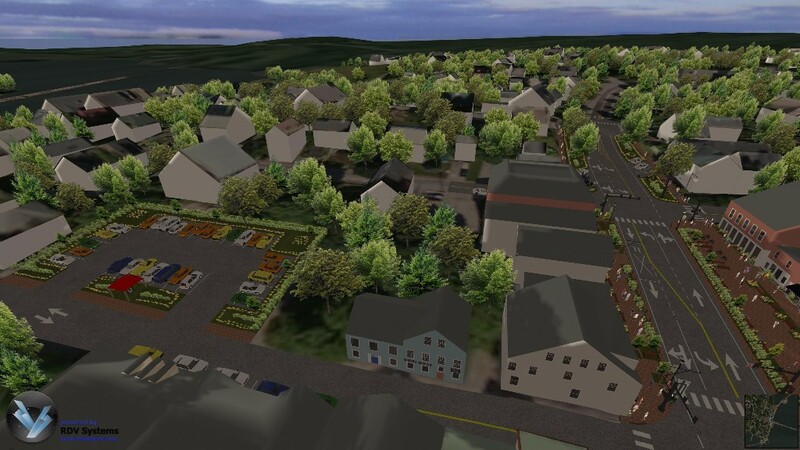 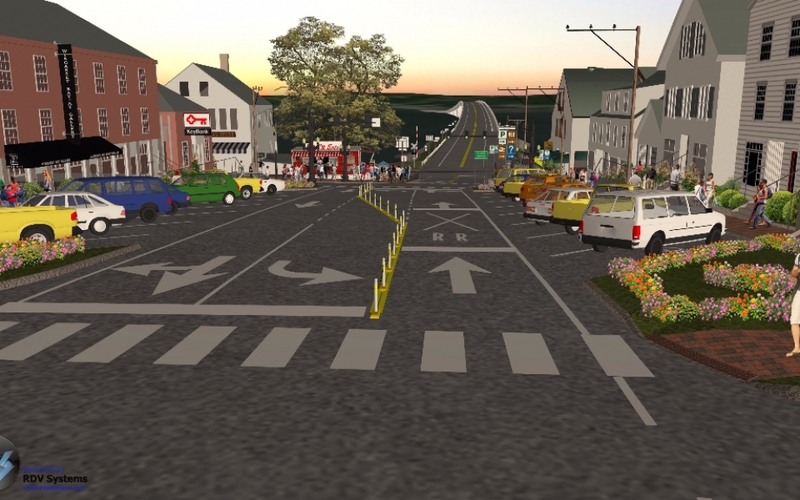 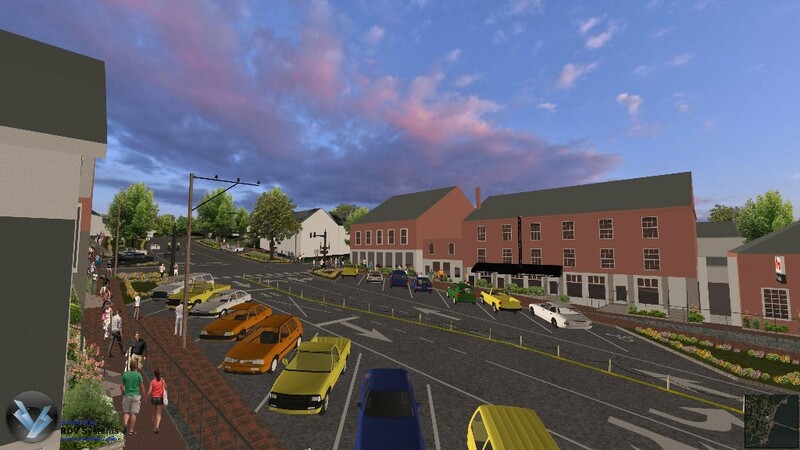 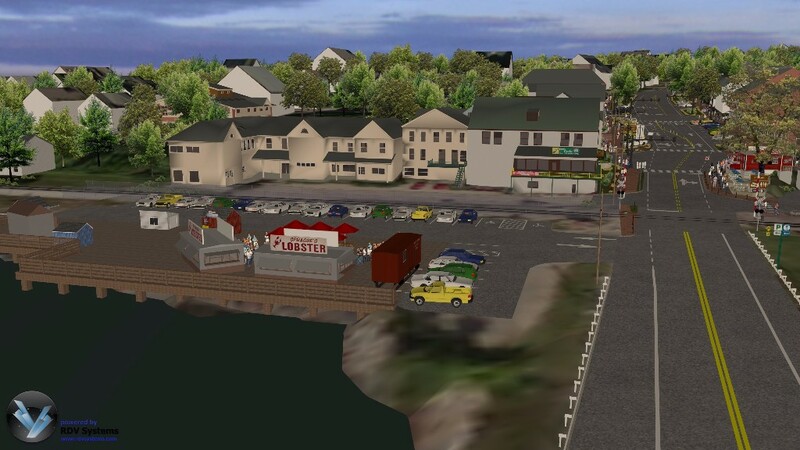 The model will continue to be used to further discuss the various questions and comments that are sure to follow, but MaineDOT remains confident that using the 3-D software was the best way to present the complex project to the public. 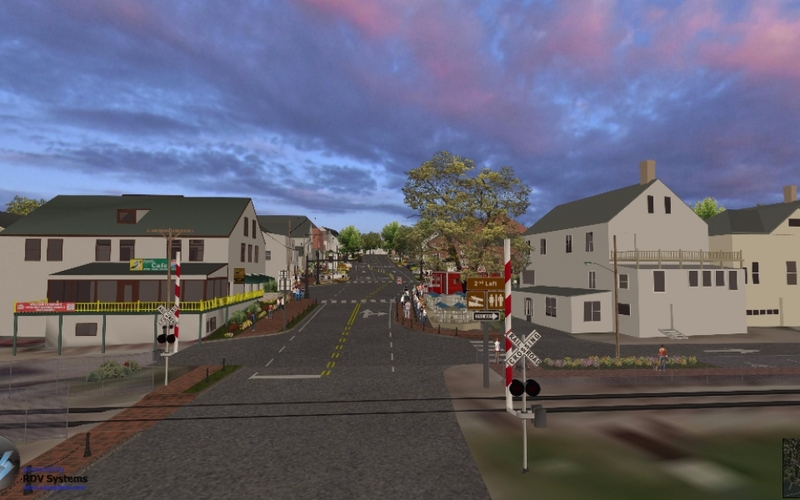 It also made for very good and postive television news coverage. I was impressed with the presentation last night. 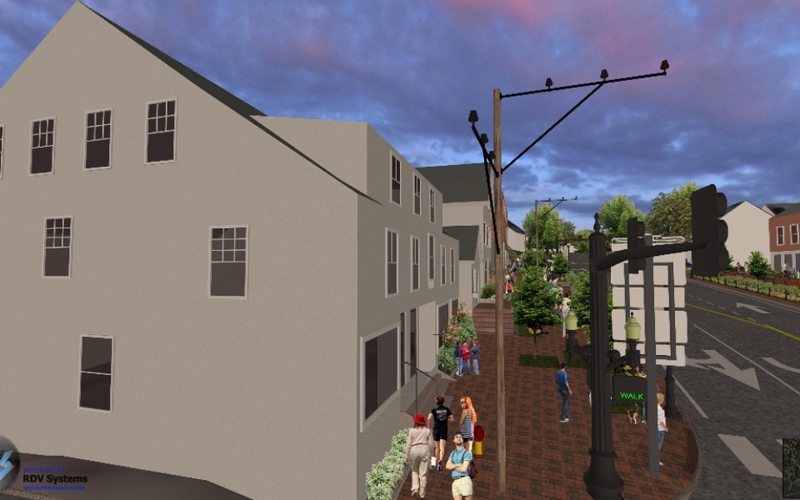 Star Wars production technology seems to have arrived in Maine. 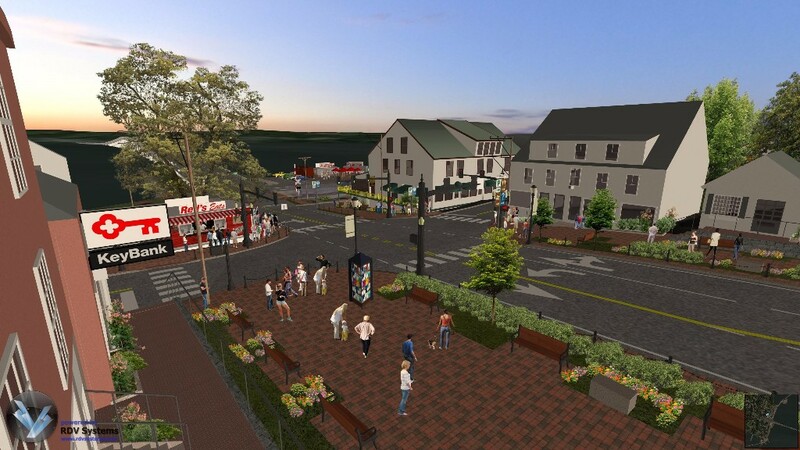 A far cry from when the public was presented with a colored set of project plans and a long monologue attempting to convey the vision the plans represented.